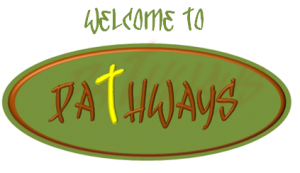 Pathways is our middle school youth group that allows students to come together in a safe and friendly setting to share their faith, engage in fellowship, and study the Word. We meet every other Wednesday from 6:30pm-8:30pm in the youth room. On the first Friday of each month, we have an extended night that lasts until 9:30pm. On those Fridays, we sometimes have special activities that we schedule. Check out our calendar here! If you have any questions, please contactTami Brooks .